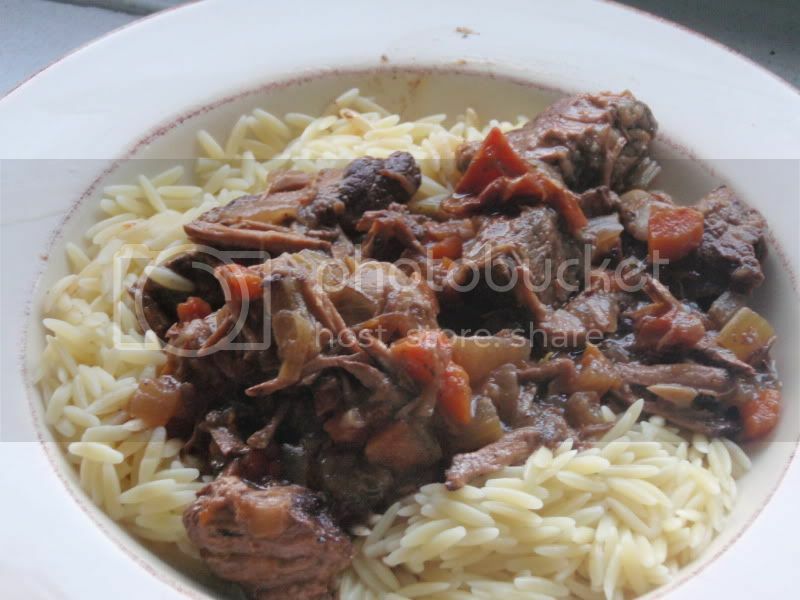 This recipe was adapted from one for beef short ribs found in Bonapetit, October 2009. Liberally season the beef with salt and pepper. Brown in olive oil using a large skillet over medium-high heat. This should only take a couple of minutes. Place all ingredients, except flour, into crock pot. Stir gently and sprinkle with salt and pepper. Mix in flour, turn up heat to high and cook for an addition 15-30 minutes. I served with orzo pasta, although any other shape of pasta, rice or potatoes would work here too.